My Petite Sweet is named after Michelle’s niece, who was born the same year as the bakery. Family members frequently called the newborn My Petite Sweet. My Petite Sweet was born in 2005 when Michelle Mausen, founder and owner, discovered her hidden passion and talent for baking wedding cakes. While creating wedding cakes in her kitchen, Michelle began experimenting with other baked goods. Her repertoire rapidly expanded to include all kinds of sweet treats as local shops and restaurants clamoured to sell her creations. My Petite Sweet moved from Michelle’s kitchen to its first brick and mortar location in 2011, but it quickly outgrew the space. In 2016, My Petite Sweet moved again to its current location, taking over the old Colonial Bakery at the corner of Hwy 101 and NE 17th Street. 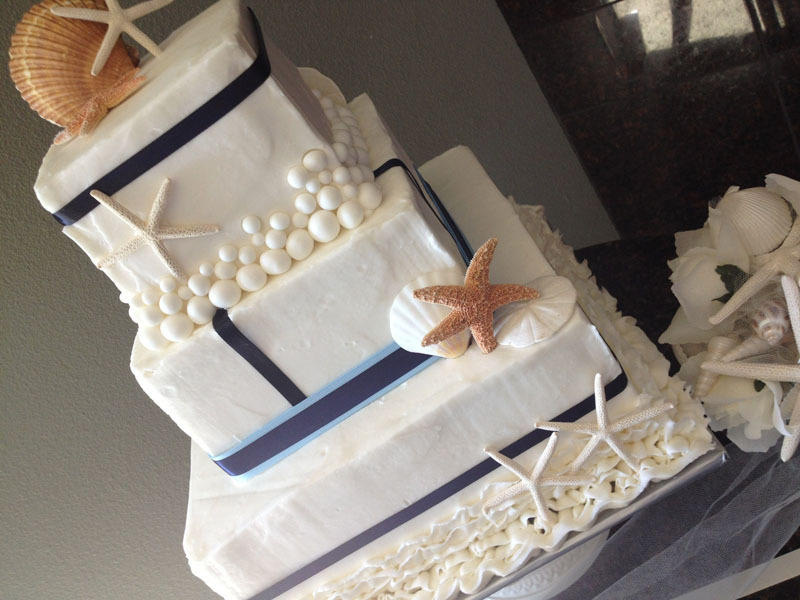 My Petite Sweet is the premier bakery on the Oregon Coast for unique cakes for every occasion, including graduation, retirement, birthdays, milestones, and especially wedding cakes. We also specialize in one-of-a-kind sweet treats that are delightful, delectable, and humorous. From emoji cupcakes to towering sandcastle wedding cakes, My Petite Sweet pours love into every creation. Michelle Mausen, owner and founder of My Petite Sweet, is a cake balancer and sugar artist. In 2005, after winning a few local chocolate contests, a friend asked if she’d bake a wedding cake. Michelle rose to the challenge and a new passion was born. From caramel apples, to cupcakes, to wedding cakes, Michelle looks for ways to make the ordinary extraordinary by blending flavors, ingredients, and love. She especially likes to experiment with new twists on old favorites, creating unique and delicious concoctions based on the comfort sweet treats of childhood. On the rare occasion that Michelle is away from My Petite Sweet, she can be found roughhousing with her three dogs or cuddling with her three cats.